(TibetanReview.net, Nov06, 2018) – The Dalai Lama has made it clear Nov 5 that he is still open to how his reincarnation or, as the case may be, successor, may be recognized or instituted, including the possibility of nominating a successor by himself or by way of voting like in the case of the selection of the Pope. While reiterating that it is “up to the Tibetan people” to decide whether the institution of the Dalai Lama should continue or not, the current Dalai Lama has said at a press interaction at his Thekchen Choling home in Dharamshala, India, “When I become very old … I will ask if they want to keep the way to choose the next Dalai Lama,” namely, by the reincarnation system. He has also spoken of other possibilities. “The kind of pope system is … possible to choose among the high lama, or high scholars,” the Mainichi Shimbun quoted him as saying on its mainichi.jp/English website Nov 5. The report also cited the Dalai Lama as saying it was, likewise, possible that he may name his successor himself, explaining that there were some precedents of past leaders making selections while they were still alive. 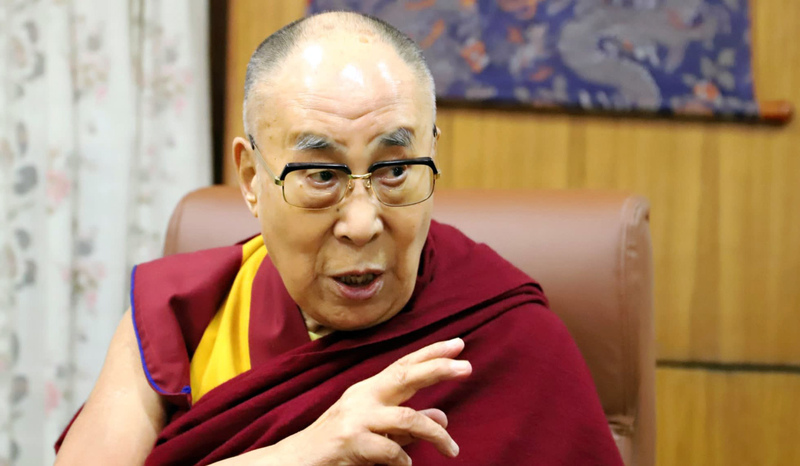 The Dalai Lama was also cited as saying said the selection pool for the next Dalai Lama could be formed by Tibetans, Mongolians or Chinese, pointing out that the Fourth Dalai Lama was a Mongolian. Speaking about his health, the spiritual leader of Tibet, albeit in exile, has explained that he was diagnosed with cancer two years ago but that it was cured after radiation therapy.